Several new features make Rendezvous glasses outstanding. 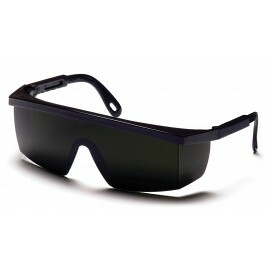 Distinctly shaped lenses shield eyes from front and sides while looking like expensive sunglasses. Air flows more freely though Rendezvous glasses, reducing fogging.